On Saturday, I was lucky enough to attend the Liverpool Bloggers Christmas Blues party, organised by the lovely Steph from Liverpool Bloggers. The event was held in Revolution St Peter's Square in Liverpool City Centre. We had our own private area in the basement bar. Nightmare - a group of bloggers with no data connection or Wi-Fi! I met Alisha and her husband Phil about an hour before the event after they had food. I waited 40 minutes for a cocktail that I had to order twice, so it wasn't off to a great start, but the event itself did not disappoint! When we went downstairs our table was decorated with pink balloons and little jars of candy floss. Mine was caramel flavoured - delicious! We had a little while to get to know each other before we started the class. 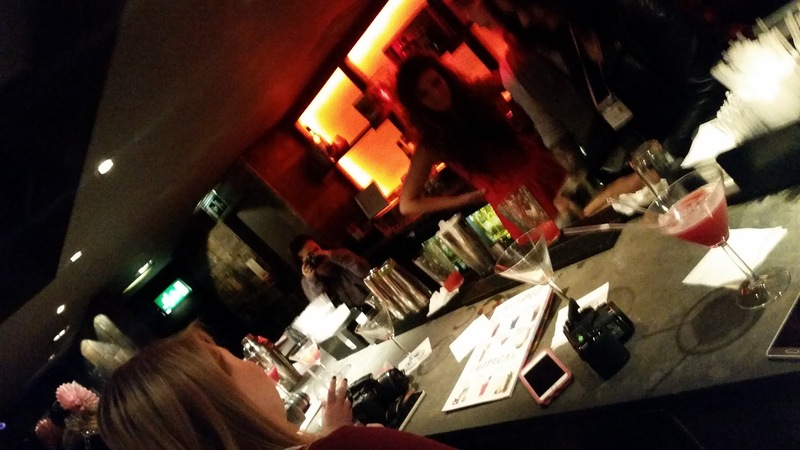 There were 10 of us, and it was nice to network with a little group and get to know fellow bloggers from Liverpool! Although we didn't get much time to get to know each other in depth, it was great meeting people that didn't mind you taking a million photos of everything going on! Our bartender for the night, Michael, was a delight! Charming, funny and accommodating for everyone's requirements. I was the first to jump behind the bar because I just can't resist a cocktail. 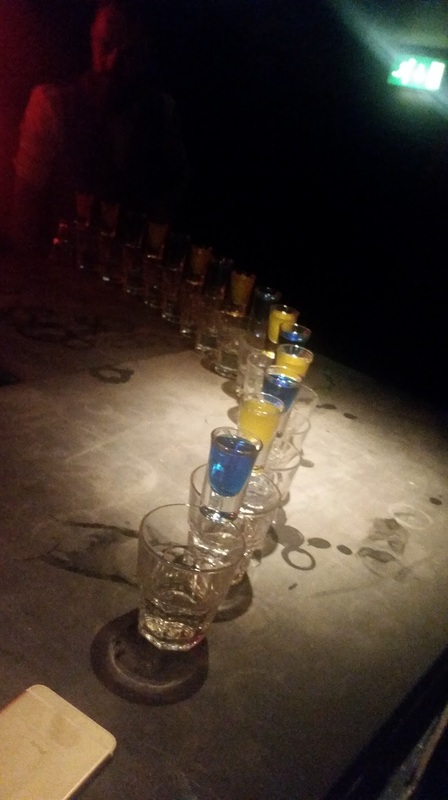 Making our own cocktails was so much fun, and very satisfying when you got to drink your own handiwork! 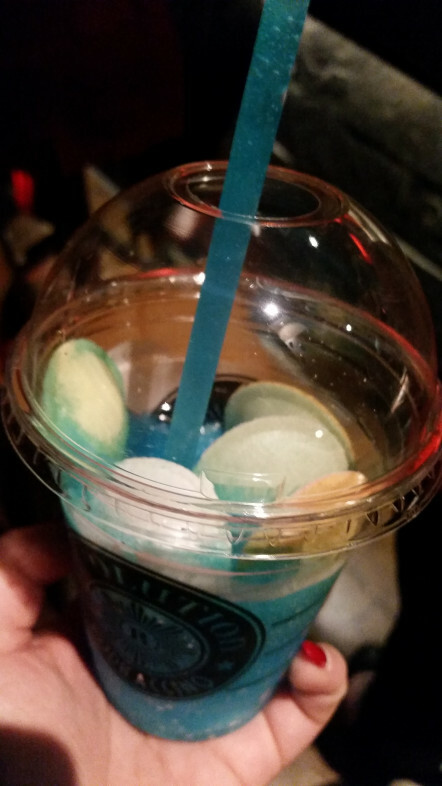 I made a Bubblegum Daiquiri, which was incredible. 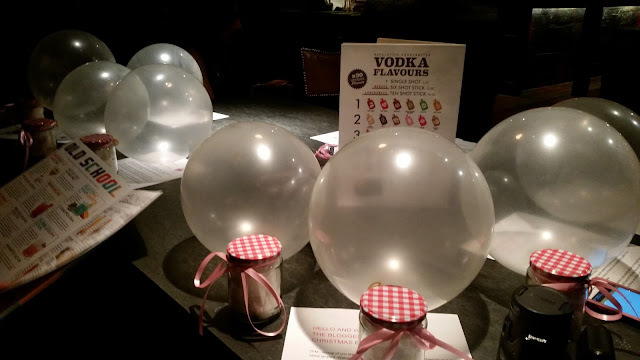 I could barely taste the alcohol in it, which is a sign of good vodka! We had a little break in between games and drink making to have some food. The food was great, particularly their popcorn shrimp. Something else Steph organised for us to do was "Loving Business Cards". We all got little blank parcel tags and all wrote a personal message to the other bloggers. I think this was such a lovely idea, as not only do some bloggers not have business cards, it's a fabulous confidence booster. 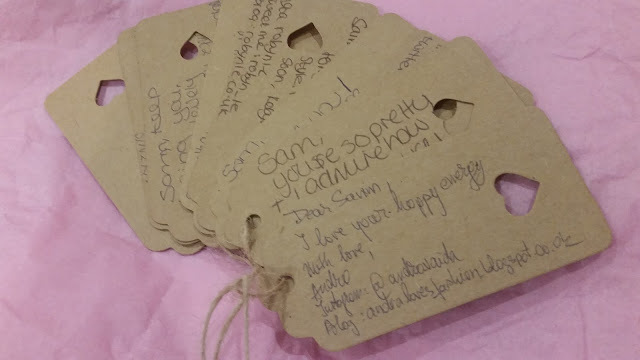 When I got home, I had a little drunken cry over some of my messages - very thoughtful. 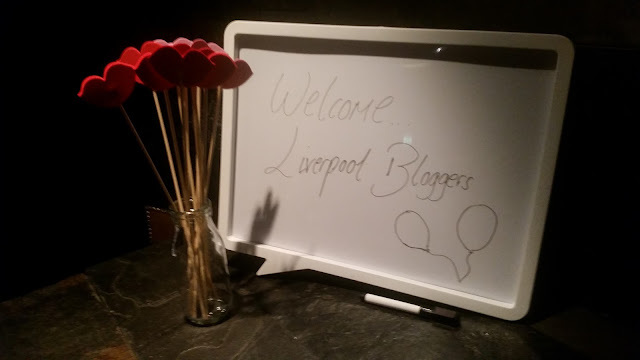 Before I get into the goodie bag, let me tell you a little more about Liverpool Bloggers. Liverpool Bloggers is the brainchild of Stephanie Bewley. Launched in the summer of 2015, Steph has already to build herself a little empire, and organise an amazing event! If you want to get involved with Liverpool Bloggers, or you're a brand looking for more exposure with bloggers, visit their website or follow them on Twitter. I practically squealed with excitement when I found out that Beauty Bazaar, Harvey Nichols were getting involved with the event. It's like holy ground in there! 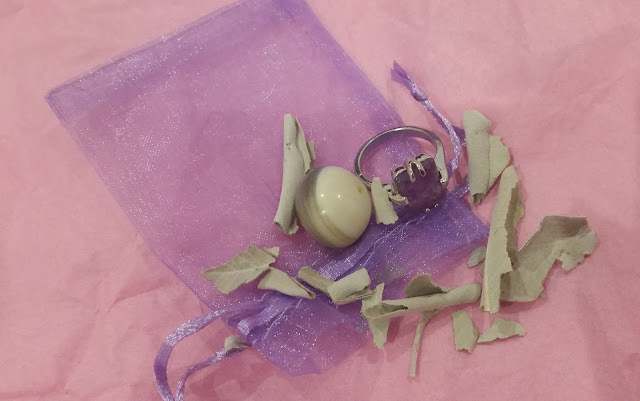 Of course, they did not disappoint and I received some lovely products! 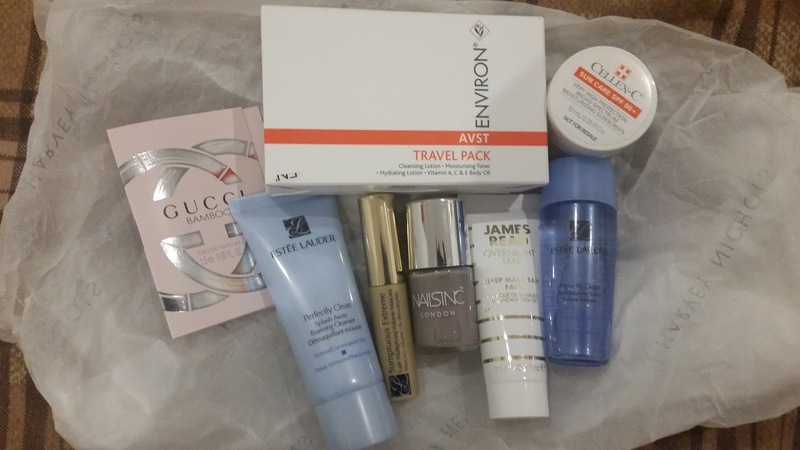 I'm looking forward to testing out the Environ travel pack, because I've never heard of them before, and I love switching up my skincare routine! The Estee Lauder cleanser and balancing lotion are something I've seen before and wanted to try, so it's great to have gotten a very good sized sample to try! Brittany from Noctua included a handmade Amethyst ring and white sage. The sage is to burn, as the smoke is said to clean negativity away. I need as much help as I can get at the minute! I adore Noctua's products and the fact that everything is painstakingly made by hand. Brittany set up Noctua when she was only 17 and it's brilliant to see how well she's done in only a few short years. 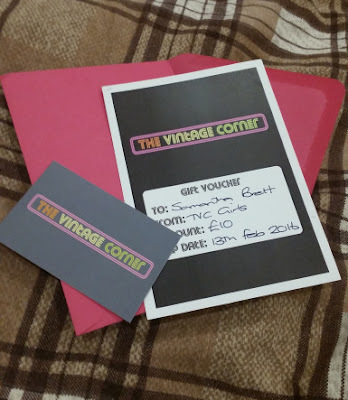 The Vintage Corner girls were lovely enough to give us each a £10 voucher to spend in store! TVC is a store in Waterloo with plenty of unique vintage pieces. I've spent quite some time going through their Facebook page over the past few days, and their coats are too beautiful. I can't wait to go choose something for myself! 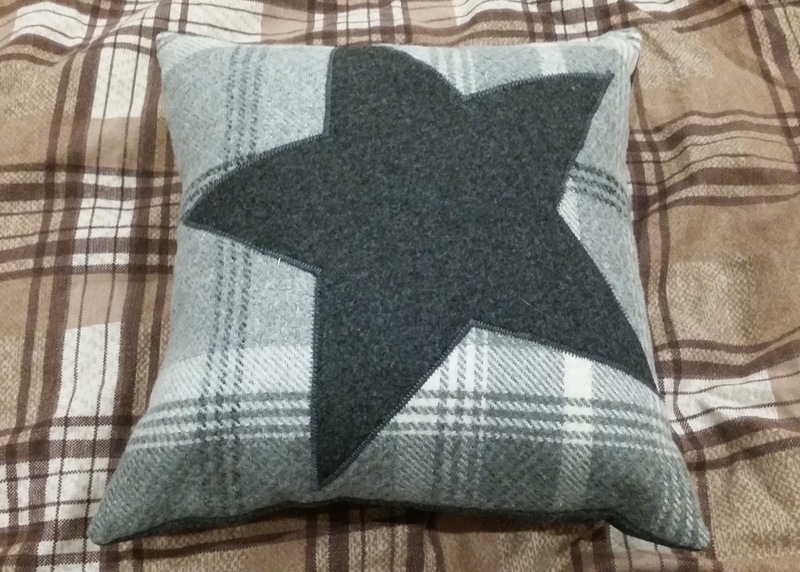 I love this cushion that I got from Gifts For Me & You! Gifts For Me & You is a family run boutique, based in New Brighton. First established in 2014, they now have their own shop in Wallasey and 22 stockists in Liverpool, Wirral, Birmingham and London! Everything is handmade, and their passion for what they do is unmistakeable. My cushion is great quality, and has taken pride of place on my bed. 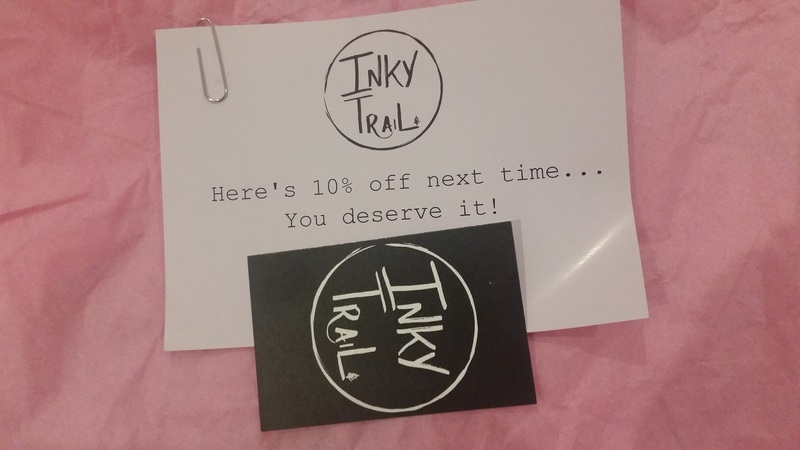 I also received a 10% discount code from Inky Trail. All of their products feature hand drawn illustrations and are simple, yet chic. My favourite is their Adventure tote bag. Thank you so much to all the other bloggers, Steph, and the wonderful brands for making the event a good one!